A perfume gift set is a gift that keeps on giving because it's something that will be worn for weeks and months to come if you get it right. Gift sets get better and better each year, and we love a matching body product (shower gels or lotions) that boosts and extends the wear of the scent. One of the sets below contains a matching candle, another a cult face cream and one offers a handy mini mascara too. Yes, perfume gift sets make for a good present, and some of the boxes on offer this year are so good that we're considering a little self-gifting. Not sure how to gift the right perfume? Check out our handy guide to gifting right (including fragrance), and then head back here to shop the gallery of perfume gift sets below. A warm floral and musk scent, this is the perfect gift for mothers or mothers-in-law. 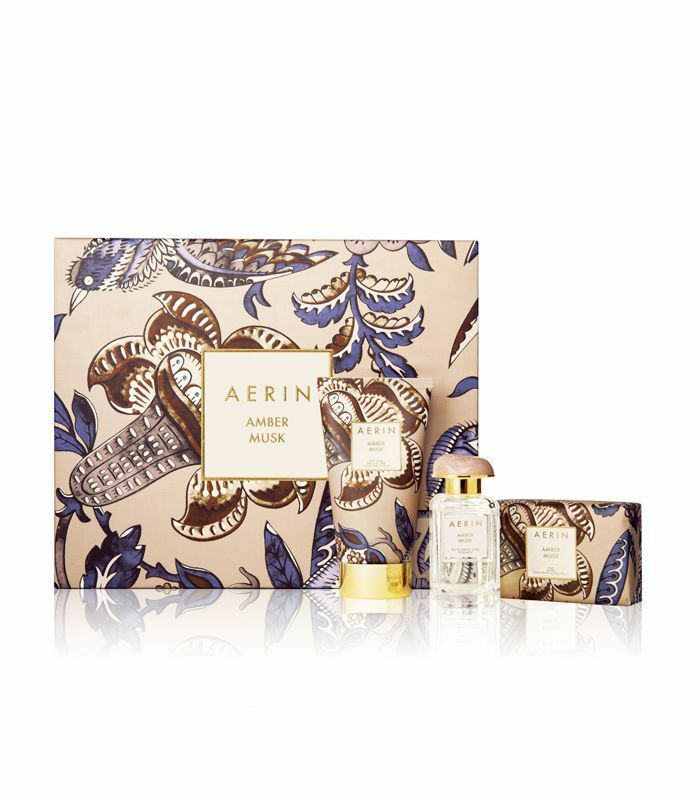 The gift contains a 50ml eau de parfum and a matching 150ml body cream and soap. A gorgeous gift box that is home to a 30ml bottle of Philosykos eau de parfum, a cult scent that celebrates the addictive quality of the fig tree, it's fresh leaf, green fruit, bark and its milky sap are all intensified with a touch of white cedar. The 70g candle intensifies the aroma for the home. Perfect for winter. There is something quite joyous about this citrus and floral perfume, hence the name. The bold painterly box contains a 50ml perfume spray and a 10ml size for your handbag alongside a 75ml body cream. 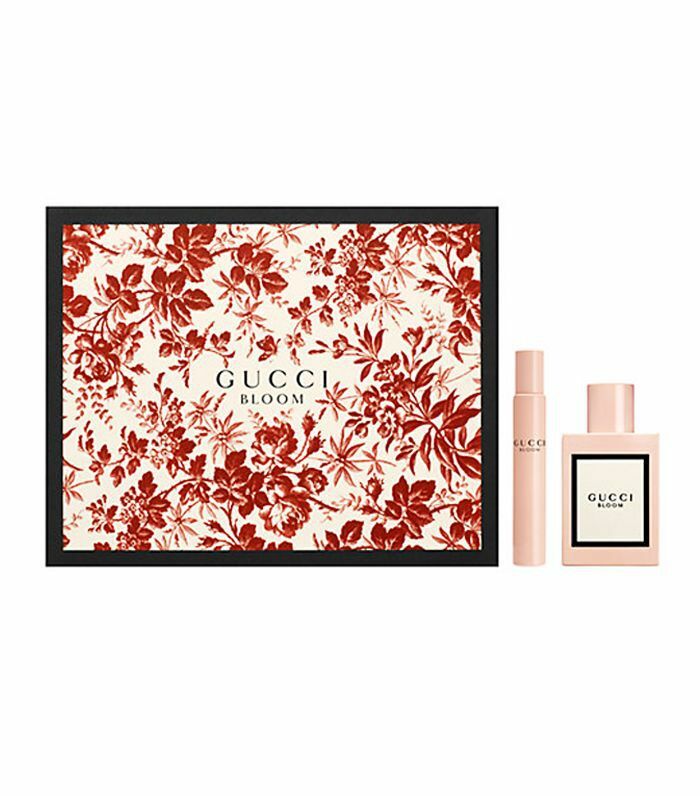 Gucci Bloom is unashamedly floral, it's so floral that it is quite the statement fragrance. There is nothing old nana about it, that's for sure. The set contains a 50ml eau de parfum and a 7.4ml rollerball that can be popped in a handbag. If in doubt, snap up a Jo Malone scent. This collection includes five 9ml bottles of the brand's biggest crowd-pleasers: Pomegranate Noir; Lime Basil & Mandarin; Nectarine; Blossom & Honey; Peony & Blush Suede and Wood, Sage & Sea Salt. 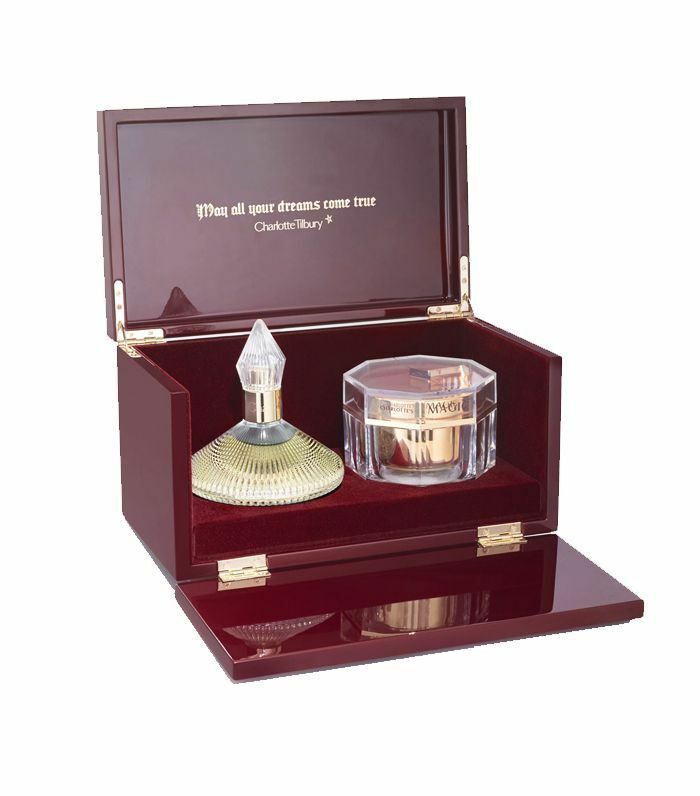 A sophisticated, glamorous perfume, this combines the rich scent of ripe fruits and velvet creme. The pretty box includes a 50ml bottle of the eau de parfum, a 75ml shimmer body lotion and a sweet 4ml purse spray. A combination of musk, floral, amber and wood notes creates a finished scent that is both sophisticated and highly addictive. It's one of my go-to favourite perfumes (hint, hint). Here you get a 50ml bottle of the eau de parfum, as well as a shower gel and body lotion (both 75ml). Comme des Garçons scents are highly addictive. Amazingreen is a beauty editor favourite, palm tree leaves and green pepper mingle with vetiver and gunpowder, making it a perfect autumn/winter scent. This collection also contains Wonderwood, Comme des Garçons 2 and Man, each in travel-friendly 25ml bottles. It may be aimed at men, but women love these scents too. Oh, Charlotte you genius. Tilbury has paired her cult skin-plumping Magic Cream with her hypnotic Scent of a Dream perfume. It's not cheap, but you're paying for a 100ml perfume and a 150ml cream, which is three times the usual 50ml size. Givenchy's latest perfume, the sweet-smelling Live Irrésistible with notes of pineapple, rose and amber (50ml), has been packed into this star-adorned box with a 3ml travel spray and a mini mascara. Next up, on a roll with the Christmas shopping? Check out these covetable makeup gift sets while you're at it.